ChargePoint is to operate GE’s EV charging network, adding nearly 10,000 residential and commercial charging spots. 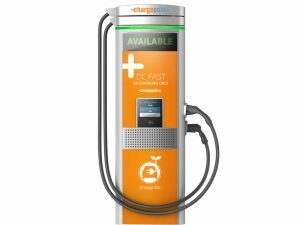 ChargePoint will maintain GE’s existing software and commercial charging spots. Financial terms of the deal were not released but ChargePoint will maintain GE’s existing software and commercial charging spots while drivers who are currently on the GE network will also be able to use the ChargePoint mobile app to locate available stations, track usage and more. GE runs around 1,800 commercial and 8,000 residential charging sites, which will join the 35,900 plus privately owned charge spots on the ChargePoint network, with GE to continue to fulfill all its warranty obligations.